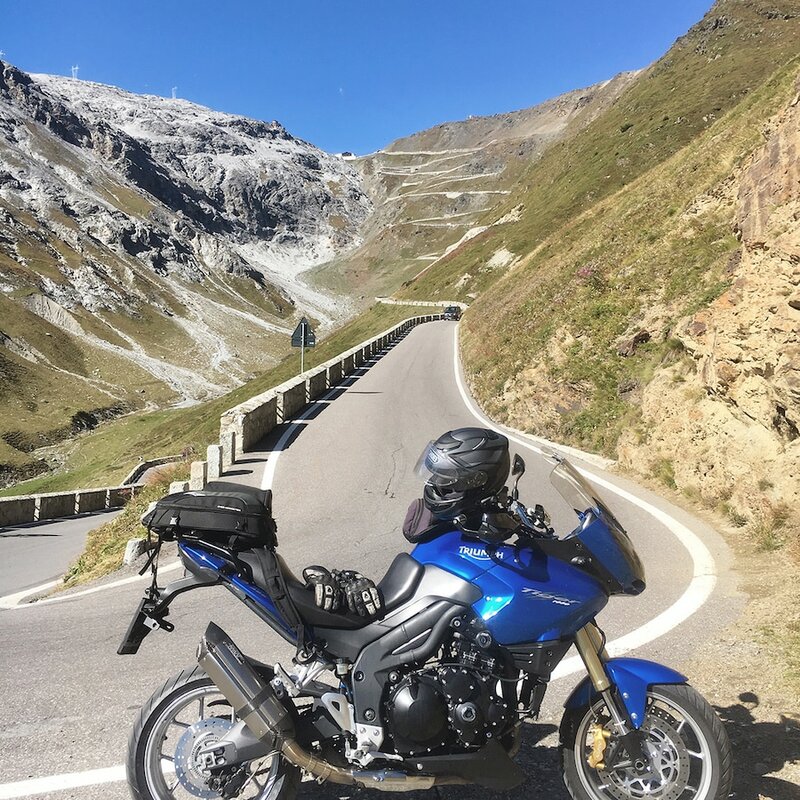 (Stubai) – Brenner Pass – Jaufen Pass – ( Val Passiria – Vinschgau) – Stilfser Joch – Gaviapass (what a rough, beautiful pass!) 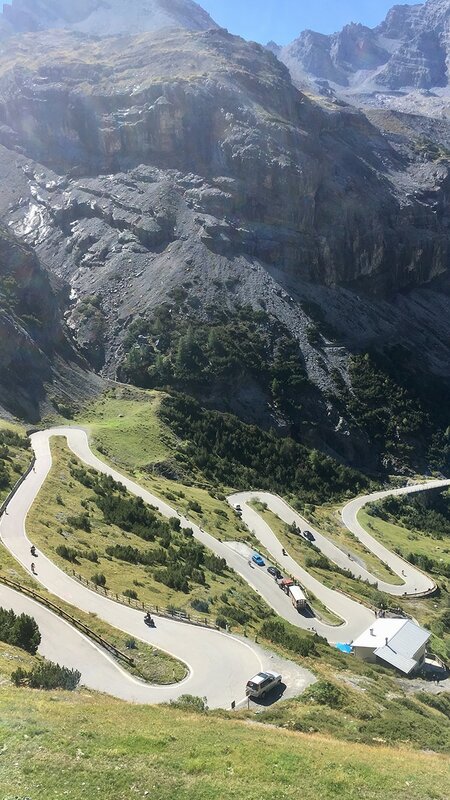 – Tonale Pass – (Val du Nons) Mendel Pass – (Bolzano – Sarntal) – Penserjoch: This ‘classic’ round is impressive and spectacular again and again. The weather was wonderful on this Saturday, so I spontaneously decided to go for a ride early in the morning. An “Iron Man” stage at the beginning of autumn – a demanding and strenuous one-day trip. 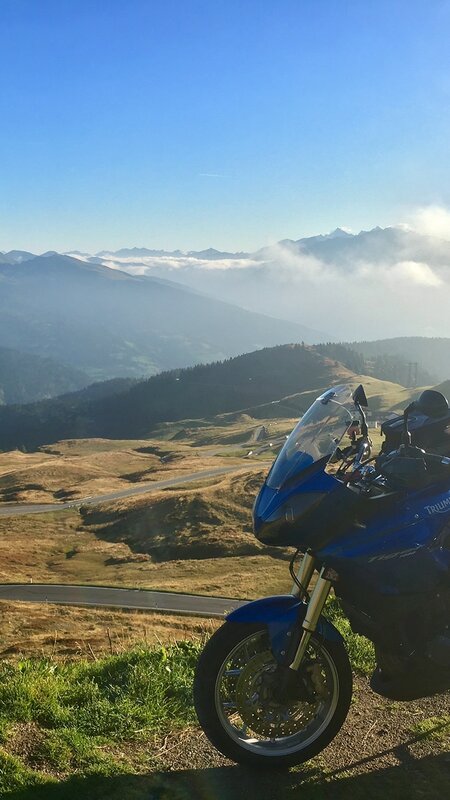 With a few clouds in the sky but sunshine under my helmet, it was a joyful ride from the Stubaital towards the Brenner Pass. In the wonderful early morning autumn sunshine, I drove up to the Jaufen Pass to settle in. The road conditions were acceptable to good: There were some stretches that had only recently been freshly tarred. At the top, there was a peaceful, beautiful autumn picture with a view of Sterzing and Ridnaun on one side and the Passeier valley on the South Tyrolean side. Over the Val Passiria we continued to Merano. Past Andreas Hofer’s birthplace, in front of which the street was still refreshingly busy with weekend tourists and locals in the early morning, past the Quellenhof Resort, below the village of Tyrol, along the magnificent wine and apple slopes that were just ripe for harvesting. 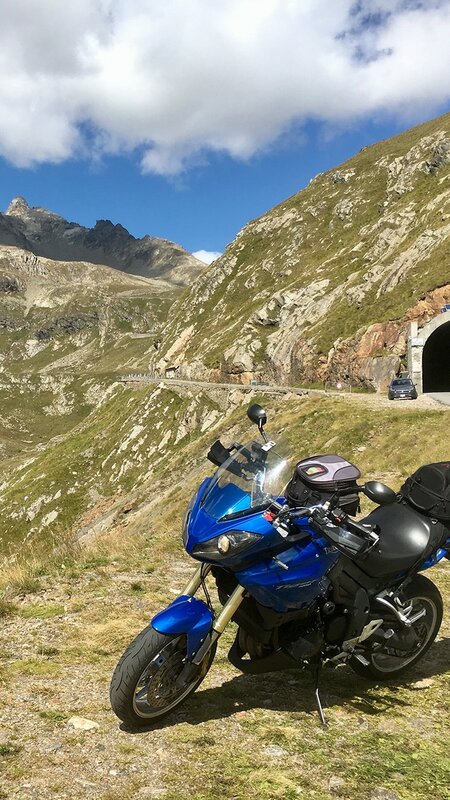 In Merano everyone will find their own way through, but I drove towards the Reschenpass and followed the SP5 / SS38 through the wonderful Vinschgau – apart from the huge columns of cars, which also tormented themselves through the Vinschgau. But there I had “to swim along”. By the way, you will pass the “Messmer Mountain Museum – Juval Castle”. If you have time you can visit it. In Spondining I finally spotted the exit to the “Stilfserjoch”: The anticipation for the high alpine surroundings and the hairpin bends of the Stilfserjoch rose. 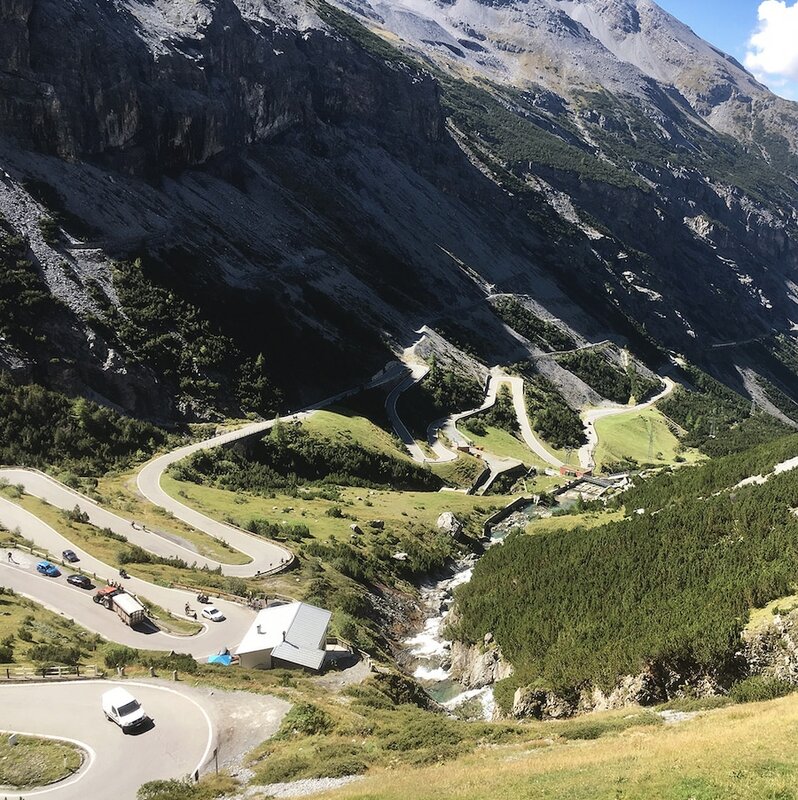 But before that there was an alpine drive from South Tyrol to relax in front of the Stelvio bridge. It called to take a breath and relax. 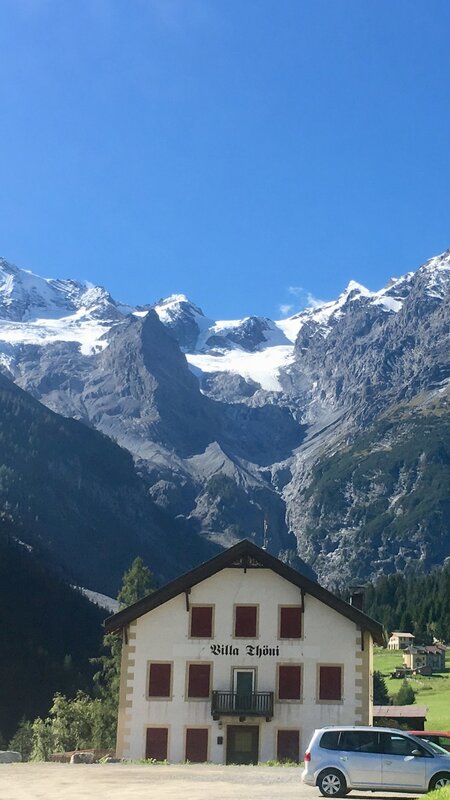 After I had passed Trafoi, the view to the Trafoier ice wall and the Ortler massif became clear – wonderful. Finally what I was here for: 48 hairpin bends lay in front of me. In between I enjoyed the view to the wonderful scenery, arrived at the top of the pass and drove directly to the ‘Tibet House’. Here one can calmly enjoy the high mountains and the hairpin bends of the Stilfserjoch. 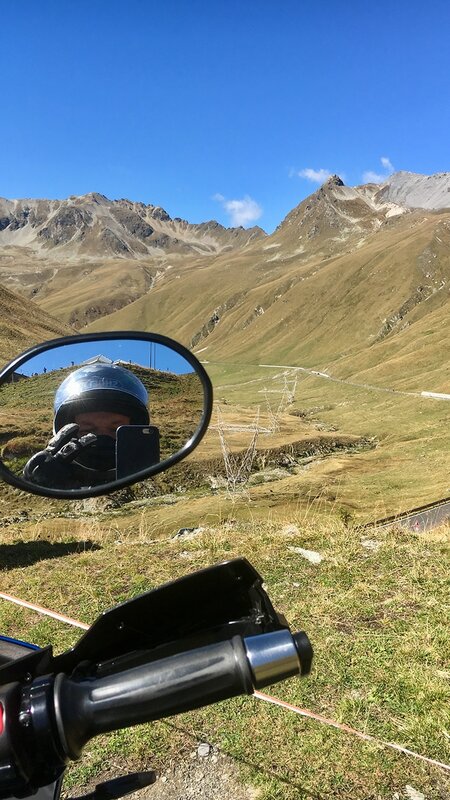 Actually, you should treat yourself to the famous Wurstel with cabbage up here, but due to limited time, after a short stay I went down again in the direction of the Umbrailpass junction (Switzerland) or via the SS38 in the direction of Bormio and Gaviapass. 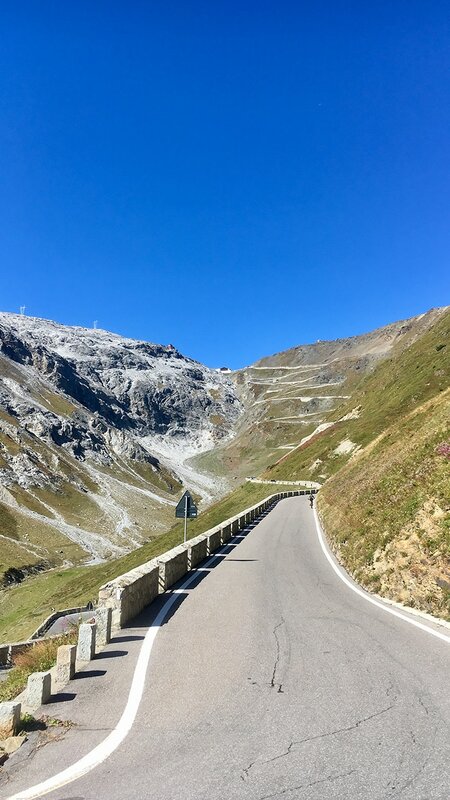 I decided for the second and so I went through the beautiful mountain world of the Stilfserjoch nature reserve via further, wonderfully relaxed roads, hairpin bends and some exciting dark tunnels towards Bormio. 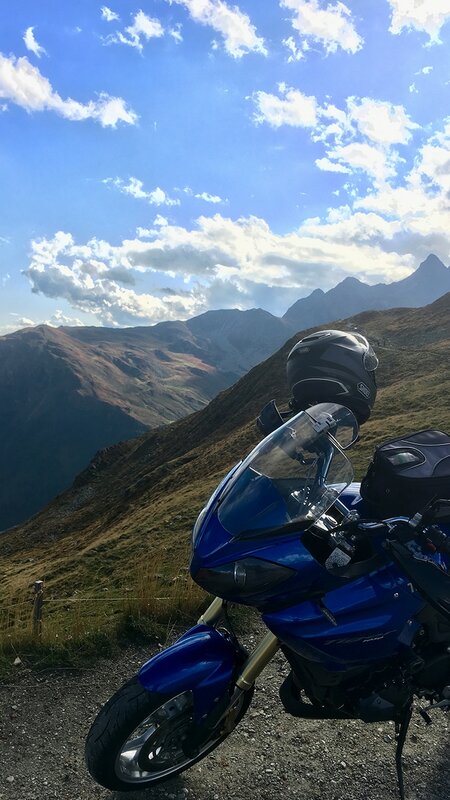 When I arrived in Bormio, I took the left SP29 to the most beautiful part of the route: the Gaviapass. I left the winter sports resort St. Catarina Valfurva behind me and entered the Gaviapass. It was noticeable how nature became rougher behind every bend, but still wonderful and indescribably beautiful to look at (without losing sight of the also “rough” road). I drove past the imposing war memorial, Rifugio Gavia, the mountain lake of Crocifisse al Passo Gavia and the Rifugio Bonetta. Take a little time here and let it all sink in! Now I really got down to it: The descent from the Gaviapass is beautiful with its mountains, but because of its unpaved roadsides and partly very narrow roads really only something for the experienced. Beginners will lose their fun here very fast and the day can end quite fast in a narrow bend due to falls. But those who dare to drive here, like many large-volume Harley riders, are absolutely in the right place. The most beautiful part of the track, shortly before Ponte di Legno on the SP29, was now behind me. From here I took the SP42 towards Passo di Tonale. Compared to the already covered distance almost unspectacular, but still excellent to ride. When I arrived, I had to drink a double espresso in the small café on the opposite side of the monument and have a snack. During the trip you should always have enough beverages at hand. But my water bottles were coming to an end and somehow the Italians still manage to make the espresso the best out of their ‘steam engines’. After a short break the journey was unspectacular on the SS42 towards Bolzano and Cles. 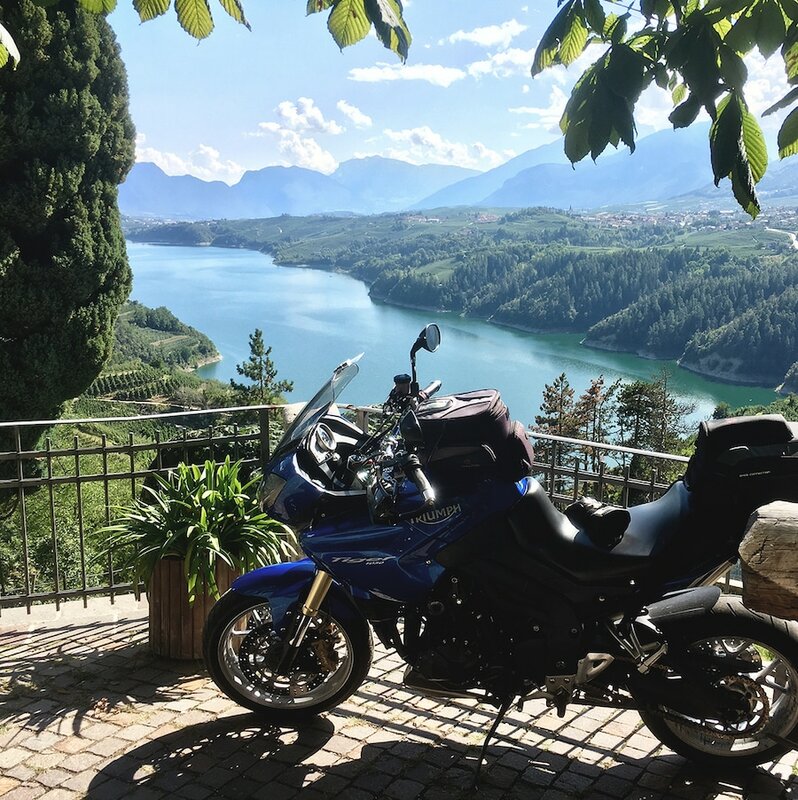 But at the southern tip of the wonderful Lago do S. Giustina I took a turn, over the beautiful Nonser valley towards Fondo, further on towards Mendelpass. 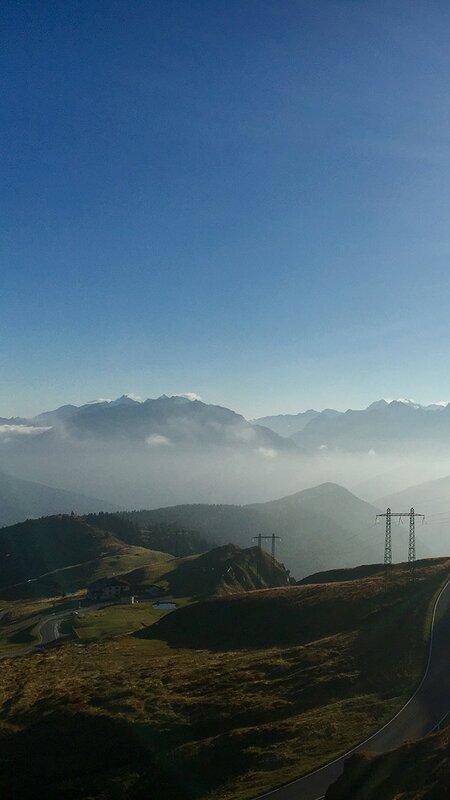 At the top of the Mendelpass, the Bozner Südtiroler Racing Elite usually meets and enjoys the beautiful view in the direction of the Bozner-/ Meraner Basin or Gröden and Rosengarten. I briefly enjoyed the view over the Bolzano/Merano Basin and rushed towards Bolzano, continuing into the Sarntal valley. Passing Castle Runkelstein and Castel Novale (because of the new tunnels you can’t see any of it here) I glided quickly and without great traffic through the Sarntal and up to the Penserjoch – the “workout” of the Innsbruck biker scene. The wind was quite strong on this day and already cool. So I took a few pictures and went down to Sterzing and further in the direction of Brenner and over the Brenner main road in the direction of Stubaital. I took another turn at the exit Schönberg (Stubaital) and Schönberg (Attention 40s zone with radar box), left Mieders behind me, turning home towards Fulpmes tired but happy. But do you know what the best part is? To arrive home unharmed and happy again and again, whether alone or in pairs or in a group.